Anglers are reminded that all Association waters on the River Wye are closed from Midnight Friday 26th October until 4pm on Sunday 28th October for the annual Wye Championship Match. No day tickets will be issued from the tackle shops for either day. Riverfest Qualifier Wednesday 24th October- Waters Closed. Anglers are reminded that the Breinton , Belmont, Bartonsham and Eign sections are closed from midnight on Tuesday 23rd October until 4.30pm on Wednesday 24th October for the re arranged Riverfest qualifier. Hereford & District Angling Association supports the Angling Trust and we urge you to join the Angling Trust as an individual member. 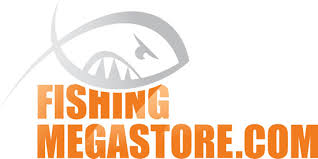 Fishing Megastore is the online outlet for Glasgow Angling Centre and carries a fantastic range of coarse, sea and game angling tackle and clothing from all the major manufacturers. The Angling Trust is recognised by the Government as angling's national representative body - the united voice of angling. Fish Legal uses the law to protect fisheries and the water environment for the benefit of anglers throughout the UK. Join today and do your bit to support the future of angling. More members means more influence. *Discount offer available until 31st December 2018 to new and returning adult (age 22+ ) and senior citizen members who have not held a valid membership during the previous 24 months. Discount code will be notified to qualifying members by email within 10 working days of receipt od subscription payment and is valid for 6 months against a single purchase from Fishing Megastore. Offer not available to members paying by monthly Direct Debit. 12 months Adult membership of the Angling Trust and Fish Legal costs £29 or £25 for over 65's. Breinton/ Upper Belmont section closed Saturday 20th October. The Belmont section of the River Wye from the ash path at the pumphouse upstream to Breinton will be closed this coming Saturday 20th October to allow maintenance work by heavy machinery to take place on the riverbank. Apologies for any inconvenience caused. Alan Reynolds Memorial Match- Sunday 21st October. Association members are reminded that both banks of the Belmont section will be closed this coming Sunday the 21st October for this match to take place. Anglers are reminded that no fishing is allowed on this section after midnight on 20th October until the match has finished. Any angler who is due to fish the upcoming River Wye 3 Day Festival on 7-9th November can pre order a Cadence rod with a 20% discount and have it brought to the match. Please contact James Robbins on 07810 852 326 or message him via Facebook. If any Association member is interested in helping steward this year's match on Sunday 28th October, please contact John Pembridge on 01432 359701. No previous experience necessary. You will be paired with someone who knows what to do. If you can't manage the whole day then you can attend for part of the day. Any adult full member taking part will be entitled to a £20 discount on their 2019 membership renewal.